People are being urged to search their wardrobes or lofts to find any unwanted shoes to support vulnerable children. 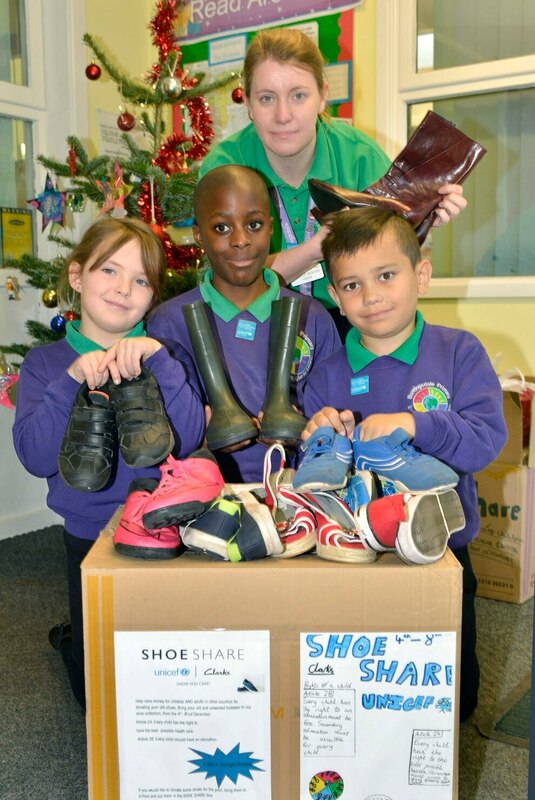 Buntingsdale Primary School, near Market Drayton, is taking part in the Unicef and Clarks' ShoeShare appeal. Clarks has been working in partnership with UNICEF since 2008 supporting the education of vulnerable children by raising money through shoe donations. For every tonne of shoes, a donation is made to Unicef which goes towards education programmes around the world. The school is inviting people to donate any unwanted child or adult shoes from next Monday to Friday at collection points in school or at Market Drayton's St Mary's Church. Wendy Swain, spokeswoman for the school, said: "We would like people to help raise money for the appeal by donating unwanted child or adults shoes. "We do something in school about Unicef's Rights Respecting Schools – article 24 states that every child has the right to the best possible healthcare and article 28 states that they have a right to a good quality education. "We have never done this campaign before so we would love loads of donations." Clarks is helping Unicef to continue providing basic resources such as pens and pencils so children have the right tools to learn, but also support in training teachers and work with governments to ensure the quality and standard of education remains high and children are leaving school able to read and write.